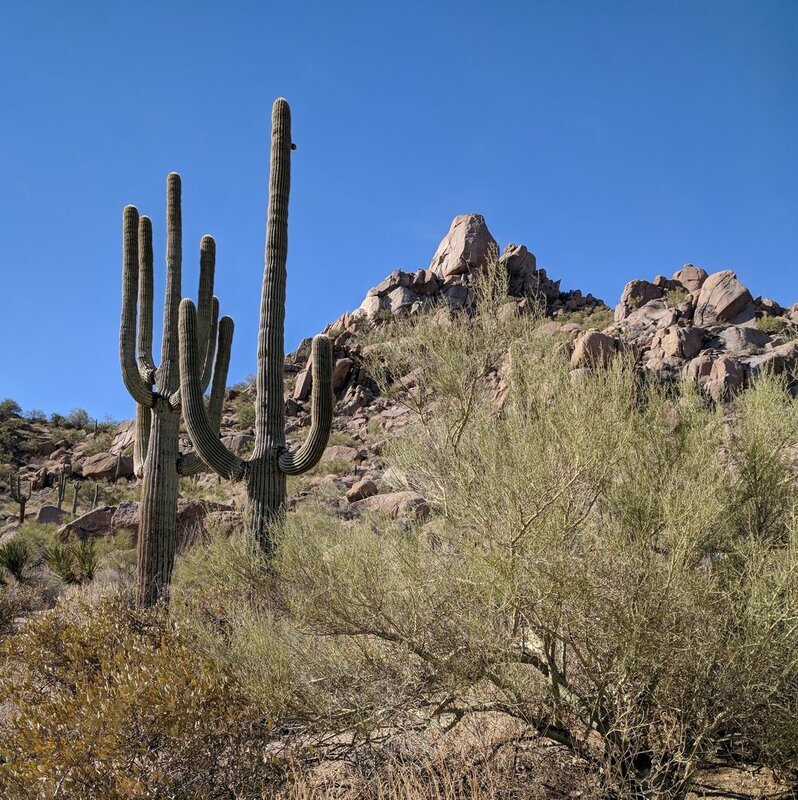 When hiking in northern Scottsdale, the Pinnacle Peak trail is unquestionably the place to see and be seen. Conveniently located just off of Alma School Road, the trail is usually crowded with tourists, outdoorsy locals clad in the latest hiking gear, and trail runners wearing next to nothing and hollering for others to step aside as they zoom by. The out and back trail clocks in at approximately four miles for the round trip. And don't let the name deceive you, the trail doesn't actually make it to the rocky peak summit but skirts around the side. 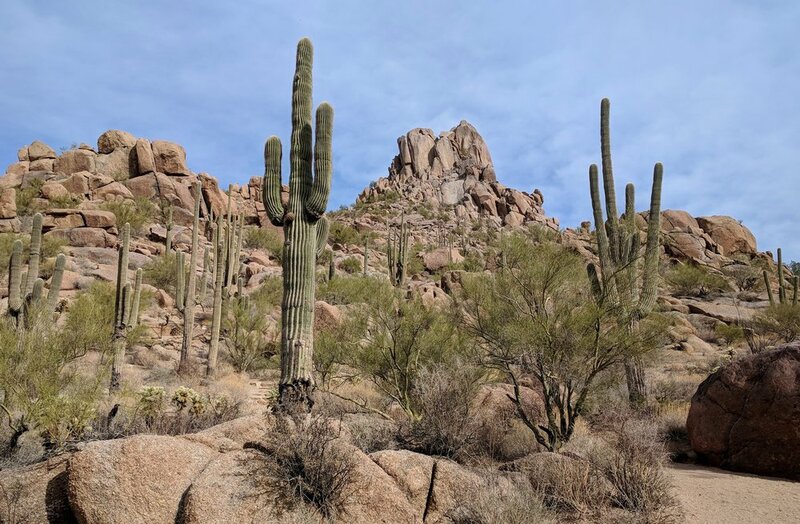 Nonetheless, Pinnacle Peak trail is immensely popular for good reason. The extremely well maintained trail isn't too strenuous and can easily be tackled in a few hours. I like hiking this trail when I want to do something fun outside but don't want to burn a lot of time with a longer trek. Almost everyone in the Scottsdale area is familiar with Pinnacle Peak and has probably hiked it at some point. I would recommend it to anyone looking to experience the full spectrum of hiking in the Phoenix Valley. Like this post? Want to read more about Travis and Nicole's travel adventures? 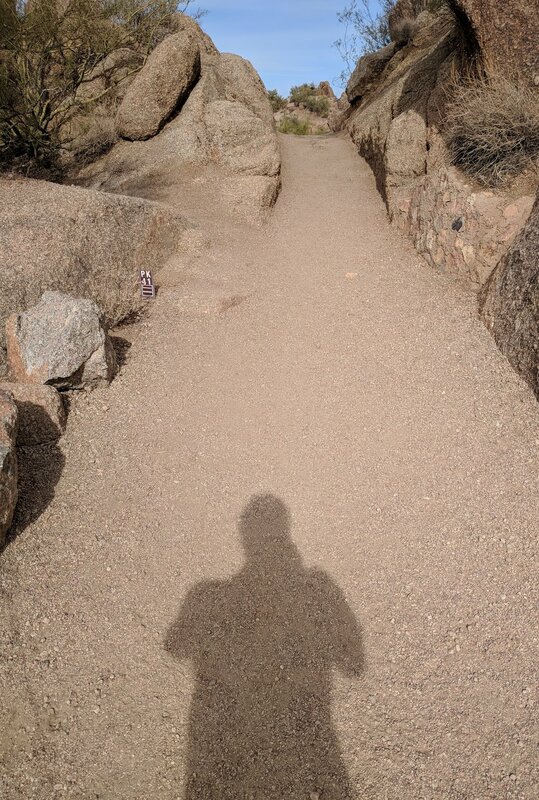 Check outA Beautiful Desert Hike To Brown's Mountain In Northern Scottsdale, Arizona.